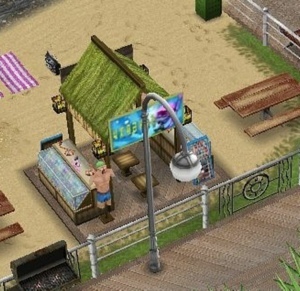 Once you complete the Life Dreams and Legacies Quest you will be able to use orbs to build the Beach, once the Beach is built you need orbs to build the snorkel hire kiosk before your teen and adult sims can complete this hobby. 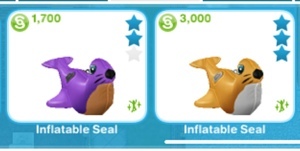 After the time has passed come back and click the exclamation mark above your sims head to find one of the snorkelling collectibles in that row. 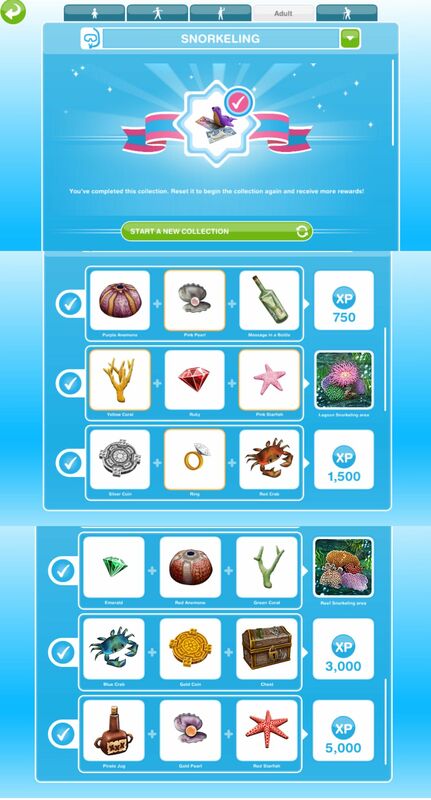 You still level up in this hobby but the hobby level up percentage isn’t important as the snorkelling collectibles don’t unlock depending on your level, when you finish two rows of snorkelling collectibles you will unlock the ability to find the items in the next 2 rows using the next pool. 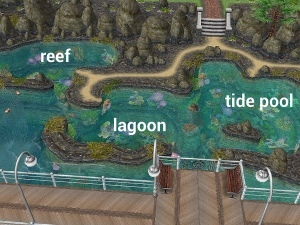 Can more than one sim do the snorkelling hobby at a time? I looked in my app but I can’t find the icon to build the beach. Can you tell me where that is? you need to complete the life dreams and legacies quest to be able to build the beach. I haven’t built this yet, I want to know if this hobby has times the way that seashell collecting does.